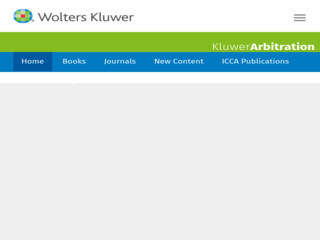 KluwerArbitration.com is the online resources for international arbitration research. It contains commentary from expert authors and an extensive collection of primary source materials including Conventions, Jurisdiction based information, Legislation, New York Convention Decisions, Rules and Chinese Court Decision Summaries on Arbitration. It also provides Books, Journals and News related to international arbitration. Database is accessible within the IP Ranges.